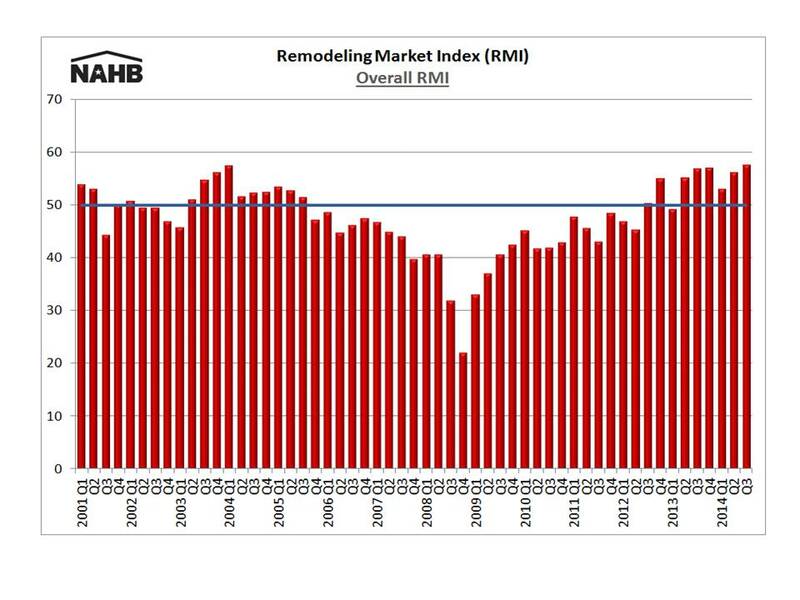 The Remodeling Market Index (RMI) rose one point to 57 in the third quarter of 2014, the sixth consecutive 3-month period the index has been over 50. An RMI above 50 indicates that more remodelers report market activity is higher (compared to the prior quarter) than report it is lower. The overall RMI averages ratings of current remodeling activity with indicators of future remodeling activity. The current market conditions index increased one point to 57 this quarter, with all three of its subcomponents (major and minor additions/alterations and maintenance/repair) posting readings of 56 or higher. The RMI’s future market conditions index rose to 58 from 56 in the previous quarter. All four of its subcomponents—calls for bids, amount of work committed for the next three months, backlog of jobs and appointments for proposals—increased or remained level with the previous quarter’s reading. 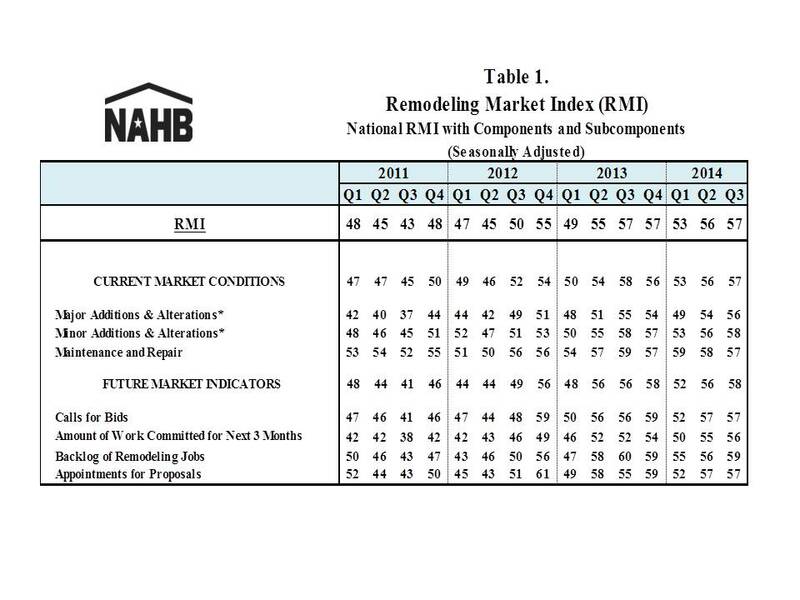 The latest RMI results show a continuing slow, steady recovery in the housing industry, with a stronger recovery still hampered by the difficulties many remodelers are facing trying to find qualified labor and subcontractors–particularly carpenters.